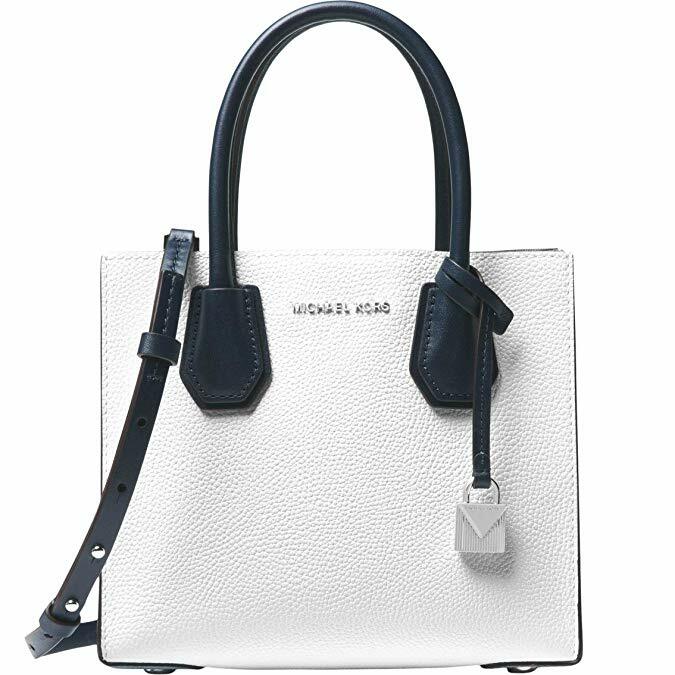 When it comes to expanding our carryall collection, we never shy away from welcoming a chic tote into the fold. A fabulous design made to carry all of our essentials with ease, totes have become an undeniable staple for every fashionista. While we have a ton of styles to fit every ensemble, our Michael Kors collection continues to reign supreme. Known for creating timelessly-chic designs, the American fashion house never misses a beat when it comes to serving up a functional, yet fashionable find. Blurring the lines between luxurious flair and effortless glamour, we can always count on this brand to make a statement. 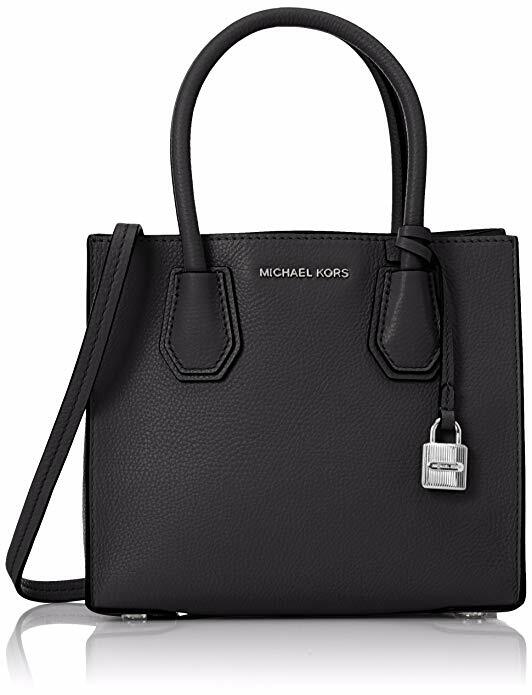 So naturally, once we spotted the MICHAEL Michael Kors Women’s Mercer Mini Tote on sale at Amazon, we immediately had to swoon. 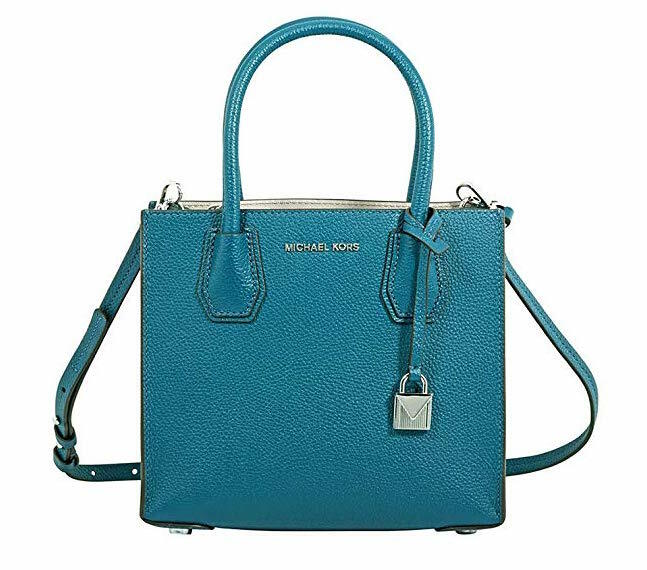 See It: Grab the MICHAEL Michael Kors Women’s Mercer Mini Tote on Amazon for up to 44 percent off, now only $140. Please note, prices are accurate at the update date of publication, December 17, 2018, but are subject to change. If you ask Us, nothing beats a stunning tote bag and this mini style ups the ante. A major plus for days when we’re traveling a bit lighter than usual, this pocketbook will become our favorite in no time. Designed with 100 percent leather, this pebbled number bridges the gap between elegant style and luxury flair for a versatile finish. Flaunting a two-carry option, we can wear this piece in the crook of our elbow with its top handles or switch it up with a front of body carry with the adjustable body strap for chic styling. Equipped with a center zip compartment, we love that we can carry around our small essentials with ease. Everything from our smartphones, keys, lipsticks and more can all fit within this compact tote for the ultimate functional purse. Perfect for toting around while we’re out shopping, heading to a concert or walking our dog, this bag will keep our essentials close and give Us the hands-free convenience we need. There are also additional pockets along the walls of the bag for extra security and protective metal feet to keep the bottom from getting damaged. From our casual looks to our evening ensembles, this bag will certainly go the distance with our wardrobe. Smart-structured and dimensional, there really isn’t much more we can ask for. Available in a wide range of colors including earthy tones, pastel hues and vibrant shades, the sky is the limit for stepping out with a stylish offering. We can’t get enough of a statement accessory and the green style falls right in line. Offering a stunning mix of green and blue tints, we love how this carryall provides a fabulous pop of color. For fashionistas who love a color-block number, the white black and blue hue is just the ticket. With light blue along the sides, dark blue handles and a white body, this bag is a great way to add dimension to our look with a polished vibe. A fabulous purse that can be worn year-round, this bag is certainly worth adding to our shopping carts. Normally retailing for $248, we were overjoyed to see a 44 percent markdown on select colors. While a designer handbag can easily set our bank accounts back, we love that we can spoil ourselves thanks to a great sale. Many shoppers love this bag’s quality and versatile build, while others appreciate the roomy pockets to store our essentials. Many reviewers also dig the lightweight feel that’s perfect for carrying around day and night. Dubbed as a beautiful construction, this bag is a great size that will definitely complement any wardrobe seamlessly. Stepping out in style is our forte and we plan on wearing this mini tote bag with moto leggings, a bodysuit, a leather jacket and embellished boots to exude our inner biker babe. We can even keep it casual with boyfriend jeans, an oversized sweater, a top coat and mules to seal the deal. Thinking of a concert look? We’re pulling out a miniskirt, tights, combat boots, a graphic tee and a suede moto jacket for an edgy, yet trendy finish. A chic number that’s functional, practical and effortlessly stylish, we’d be foolish to pass up on this head-turning mini tote. With this pocketbook currently on sale at Amazon, there is no telling how long this carryall will be up for grabs. Get in the holiday spirit and scoop up this find to add to your closet today!